Visually speaking, Boom! Tanks is rather splendid. It’s powered by a smooth-running 3D engine that remains silky smooth even when kicking up dust around the highly detailed tank you’re commanding. So far, the main game itself is very straightforward. You roll onto the battlefield automatically, so all you need to do is hold your finger on the screen to aim your cannon. You then hover it over the enemy tank. Once it’s locked on, you can fire your weapon. The amount of damage you deal is based on how close to the centre you stop the swing-o-meter’s needle. If you’re in a tank with a Charge Shot, it’s dependent on how long you wait until you fire. It’s simple enough, and extremely satisfying when you see an opponent go up in flames. It’s been awhile I haven’t done any weekly update, here what caught my eye in the last month. 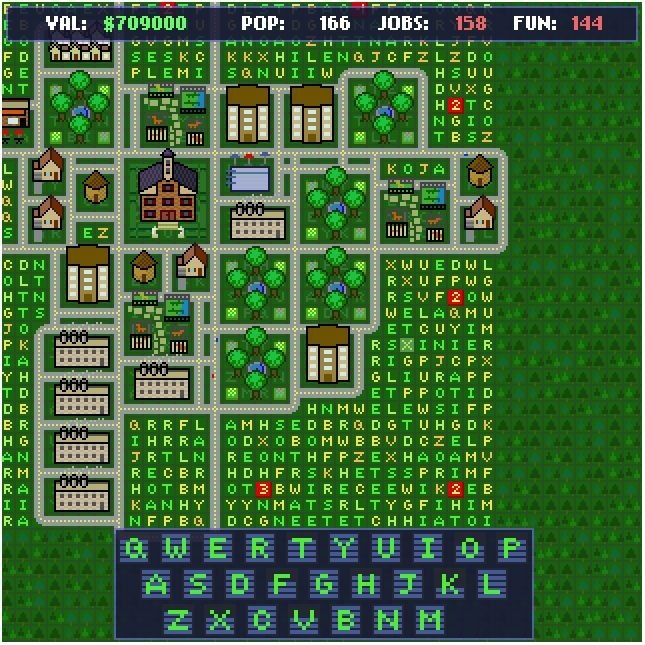 Here a game with a really cool concept it puts together the word game genre (like scrabble) and the city building genre (like simcity). You build buildings which cover an area and you get the letter under the area. To build another building you must have the letter to build the given building. If you want to build a “house” you must have all the letter in the word house. And there is a little extra twist you must balance between population, job and fun (recreational) building to get extra value for your town. 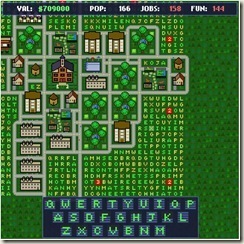 House, hut, park, mine, factory, stadium, arena, statue, tower, skyscraper, condo, zoo, pub, bar, club, museum, court, barrack, field, townhall, dump. 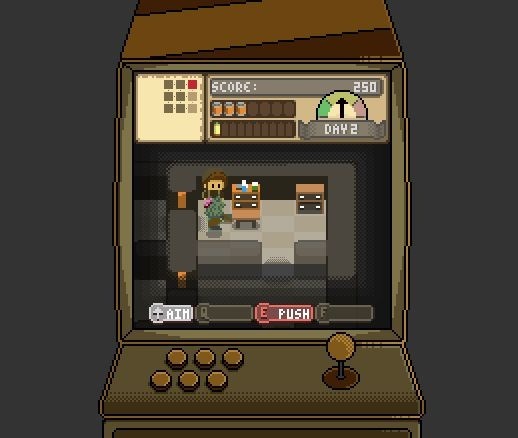 Another zombie game that caught my eye with his retro style. The game play is actually really fun even though the controls are squishy and that you sometime was ammo for no reason. You got from room to room collecting ammo and food. You can shoot the zombie but there is more zombie than ammo so it’s better to run from them most of the time. You clear an area when you collect everything or kill all the zombie. Not browser related since I’ve already wrote about final fantasy tactics in the past there some new here. Another Free final fantasy tactic is out in japan on iOs, we don’t know if there will be a release elsewhere in the world but I hope it will. It seems it has the race and class from Final Fantasy tactic Advance 2 on the DS, which I’ve loved, but the combat system seems much simpler missing the tactical advantage of moving around the terrain and going behind your enemy back. Finally if you are a Fan of the final fantasy series there a talk next week (june 11th 2013) about the future of the franchise. 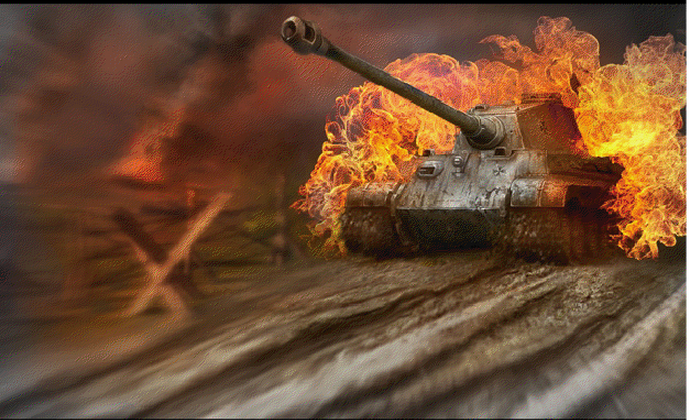 Wargaming the maker of Word of tank, has made a announcement that it won’t give in game advantage making the game “more equal” for paying/non-paying user. If you don’t already know, the closed beta service for Project Tank just began recently (it’s actually started March 26). 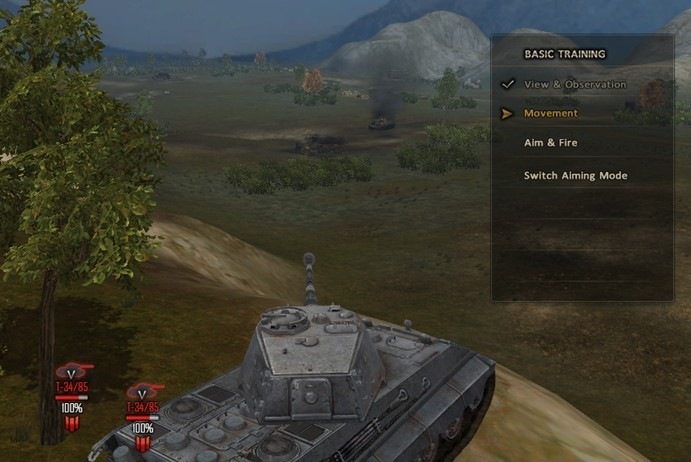 Project Tank is a team game, and a heavily-armored tank isn’t enough to win. Players must always talk to their teammates and conduct the whole battle tactics when needed. With a simple addition of player’s favorite strategy, they can build their own iron empire and show off the indisputable authority of tank power! 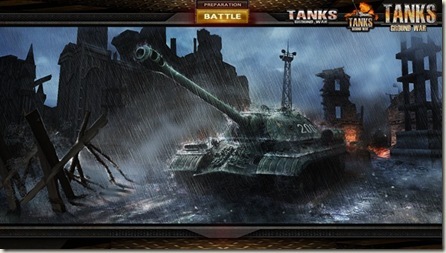 the game features mid-20th century era fighting vehicles. For more info at(https://www.facebook.com/projecttankofficial). 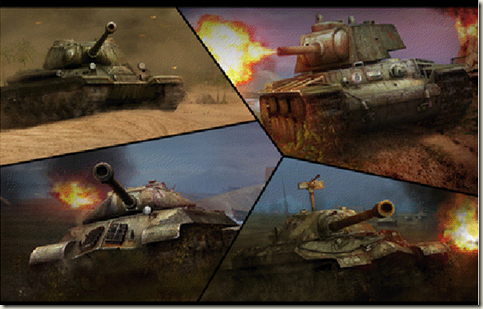 After several years of developing by online game leader Changyou, this unprecedented 3D webgame is finally coming near to its release date at PDT 5:00AM on March 26,2013 .This game combines the thrilling simulation of heavy-armor tank battles with meticulously recreated historical maps. And even with this amazing level of visual effects, the game requires no downloading and runs directly on your browser. Project Tank equips gamers with more than 400 tanks of 6 types that are affiliated with over 10 countries, including the USA, the Soviet Union, the UK, Germany, France, etc. Players can choose from over 200 WWII battlefield maps, which allow players to experience historical battles such as the Invasion of Normandy, and the Battle of Stalingrad. 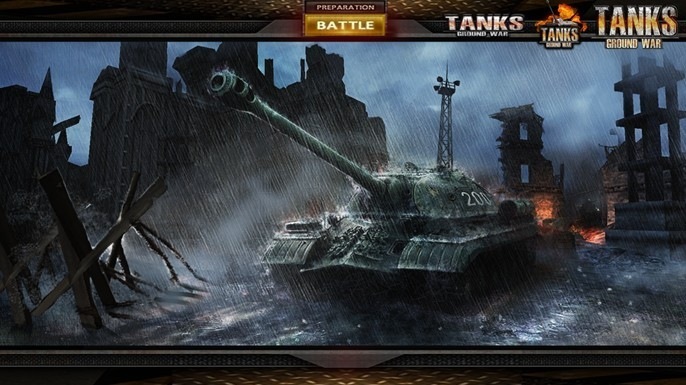 With realistic scenes depicting true-to-life battles, a plot developed from genuine action-packed war stories, and historically accurate tank designs, this webgame offers gamers the riveting opportunity to relive the real and intense battles of WWII. This innovative gaming project distinguishes itself by stimulating strategic player coordination in warlike scenarios. Project Tank brings players to the frontline to truly experience war with its amazing 3D engineering and graphics manipulation. 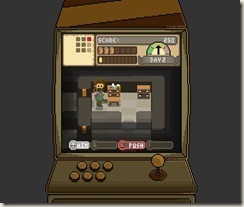 There are over 10 fighting modes to bring players with varied gaming experiences. Gamers will also form alliances and teams to interact and cooperate with others. In team, the specialization is vital. Different duties of attacking, making strategies and defending will be divided for the win.